This German thermostatically controlled shower column is manufactured in solid brass with a chrome finish for superior quality and longevity. With 2 multi functions, this shower column has a 250mm round shower head and a handy handheld shower head which is height adjustable. This shower column is controlled by a lockable thermostatic shower valve. A minimum of 2 bar water pressure is required to operate. 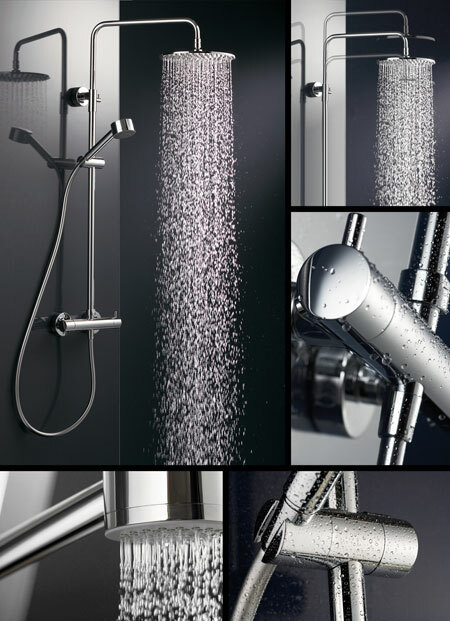 Each shower column is covered by a manufacturers 5 years guarantee. * Easy clean shower jets.